A student’s home country is one of the biggest sources of funding, either through companies based there or through the government. Many countries operate an official student loan scheme for those who wish to study overseas and you should contact the local government office in your home city to see if they can offer you any advice. If you’re already living outside of your home country and require funding most information of this information will be accessible on-line. You may wish to approach large companies that are based in your home country and write to them asking about financial assistance towards your studies overseas. Please bear in mind that funding from your home country might be awarded on the condition that you come back home to work once you have finished your studies. The biggest source of income for most international students still comes from family. As a recent study by the Institute of International Education (IIE) showed, nearly 65% of all international students were funded by their family and relatives. There are a small number of organisations that may offer scholarships, grants and bursaries to students choosing to study outside of their home country. See https://www.rcs.ac.uk/apply/finance/feesandfunding/external-funding/ for further information. The Australian Music Foundation offers financial support to outstanding young Australian musicians who wish to pursue post-graduate music courses in leading music education institutions in Europe. Every year the Foundation makes grants to carefully selected students, whom the Australian Music Foundation believe will excel in their artistry. Commonwealth Scholarships are available each year to fund Commonwealth citizens’ study in the UK for undergraduate and postgraduate qualifications. A range of scholarships are available for citizens of Commonwealth countries other than the UK. Application is made through the nominating agency (frequently the Education Ministry/Government Department or similar) of the applicant’s home country. The nominating agency selects the best applications and forwards these to the Commonwealth Scholarships Commission. Please check out the Commonwealth Scholarship Commission website above for individual countries’ eligibility criteria and deadlines for application. Commonwealth Scholarships are available each year to fund Commonwealth citizens’ study in the UK for undergraduate and postgraduate qualifications. A range of scholarships are available for citizens of Commonwealth countries other than the UK. Application is made through the nominating agency (frequently the Education Ministry/Government Department or similar) of the applicant’s home country. The nominating agency selects the best applications and forwards these to the Commonwealth Scholarships Commission. Please check out the Commonwealth Scholarship Commission website above for individual countries’ eligibility criteria and deadlines for application. Scotland’s Saltire Scholarships are aimed at encouraging bright, talented and hard working individuals to live, work and study in Scotland. Awards are available for full time graduate study. Courses must be masters programmes, and can be either taught or research.The scholarship is a total of £2000 (British pounds) towards the cost tuition fees. 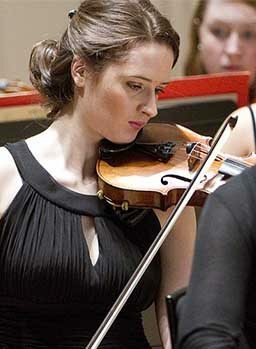 Only applicants with a Conditional or Unconditional offer from the Royal Conservatoire of Scotland will be considered. Commonwealth Scholarships are available each year to fund Commonwealth citizens’ study in the UK for undergraduate and postgraduate qualifications. A range of scholarships are available for citizens of Commonwealth countries other than the UK. Application is made through the nominating agency (frequently the Education Ministry/Government Department or similar) of the applicant’s home country. The nominating agency selects the best applications and forwards these to the Commonwealth Scholarships Commission. Please check out the Commonwealth Scholarship Commission website above for individual countries’ eligibility criteria and deadlines for application. Goa Education Trust Scholarships The GET Scholarships will fund young Indians to pursue a Masters degree in the UK and will cover part or full tuition fees not exceeding GBP 12500. There are no restrictions on courses of study or university. Charles Wallace India Trust Scholarships The awards, which are generally from 2–3 months up to a maximum of a year, cover accommodation and living costs in the UK, fees and a contribution to international fares. Applicants should be between 25 and 38 years of age and have an unconditional offer for a place on a one-year Masters programme in Performance, e.g. Dance, Drama, Music, Directing. Indian applicants may also want to search for scholarships via www.buddy4study.com which promotes itself as India’s No.1 scholarship portal. Commonwealth Scholarships are available each year to fund Commonwealth citizens’ study in the UK for undergraduate and postgraduate qualifications. A range of scholarships are available for citizens of Commonwealth countries other than the UK. Application is made through the nominating agency (frequently the Education Ministry/Government Department or similar) of the applicant’s home country. The nominating agency selects the best applications and forwards these to the Commonwealth Scholarships Commission. Please check out the Commonwealth Scholarship Commissionwebsite above for individual countries’ eligibility criteria and deadlines for application. The Royal Conservatoire of Scotland is an eligible Federal loan institution and our Federal School Code is G30887. Direct Subsidized Stafford: for students with demonstrated financial need, as determined through the outcome of a student’s Free Application for Federal Student Aid (FAFSA). No interest is charged while a student is in school at least half-time, during the grace period, and during deferment periods. As of 1st July 2012 subsidized loans are only available for undergraduate students. Direct Unsubsidized Stafford: not based on financial need, interest is charged during all periods even during the time a student is in school and during grace and deferment periods. Direct PLUS: unsubsidized loans for the parents of dependent students and for graduate/professional students. PLUS loans help pay for education expenses up to the cost of attendance minus all other financial assistance. Interest is charged during all periods. More guidance on applying for US Federal Loans can be found in our US Student Loan Guide 2018-19. Students also have the option to take out a Private Study Loan, through organisation such as Sallie-Mae. We strongly reccomend that you research this carefully before making an informed decision ergarding your choice of loan, as loans can offer a variety of interest rates and repayment terms. You may borrow federal funds up to a standard cost of attendance (COA) as the combined maximum of your loans. The COA is comprised of tution fees and living costs only, minus any Expected Financial Aid (EFA) which includes any bursaries, scholarships, grantsand awards, and will be determined by our Finance Department. Individual loan types are subject to specific limits which may also depend on your course and year of study. Please note there will be a fee for originating a loan. Scotland’s Saltire Scholarships are aimed at encouraging bright, talented and hard working individuals to live, work and study in Scotland. Awards are available for full time graduate study. Courses must be masters programmes, and can be either taught or research.The scholarship is a total of £2000 (British pounds) towards the cost tuition fees. Only applicants with a Conditional or Unconditional offer from the Royal Conservatoire of Scotland will be considered. The scholarships are not available to US students who have already completed their undergraduate studies at an institution in Scotland.